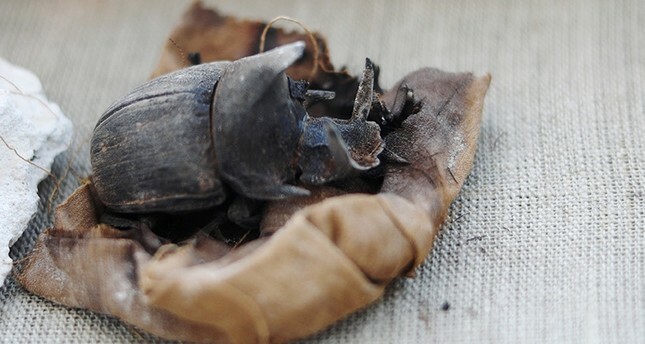 Archaeologists in Egypt said Saturday they had discovered a rare collection of mummified scarab beetles, as well as an apparently pristine Fifth Dynasty tomb that they plan to open in the coming weeks. The Fifth Dynasty ruled Egypt from about 2,500 B.C. to 2,350 B.C., not long after the great pyramid of Giza was built. "The (mummified) scarab is something really unique. It is something really a bit rare," Waziri said.